While a Y haplogroup cannot be expected to reliably pass the same language from father to son every generation, it probably did most of the time for most of our ancestors who, to use ancient language, "took wives" from their own extended kin groups or tribes. Of course from time to time children may have been taken as slaves by foreign-tongued neighbors and in some cases parents may have opted to teach their children an elite language for socioeconomic reasons. But any time this happened the child's offspring would, according to the same rule, be expected to continue speaking the new language generation after generation until interrupted again by a similar event. For people who lived in small groups in sparsely populated areas and who did not move as much, the linguistic continuity of a male lineage would be higher. For people who lived in large multi-ethnic confederations and who moved a lot, there would have been many more opportunities to sire a child that would end up speaking a different language. The association with Haplogroup N and Uralic languages has long been discussed. Complicating the picture are deep interrelationships between Uralic and Turkic groups. In this article I examine the circumstantial evidence only from some of the samples on YFull below M2019, the only N subclade on YFull with Hungarian samples. 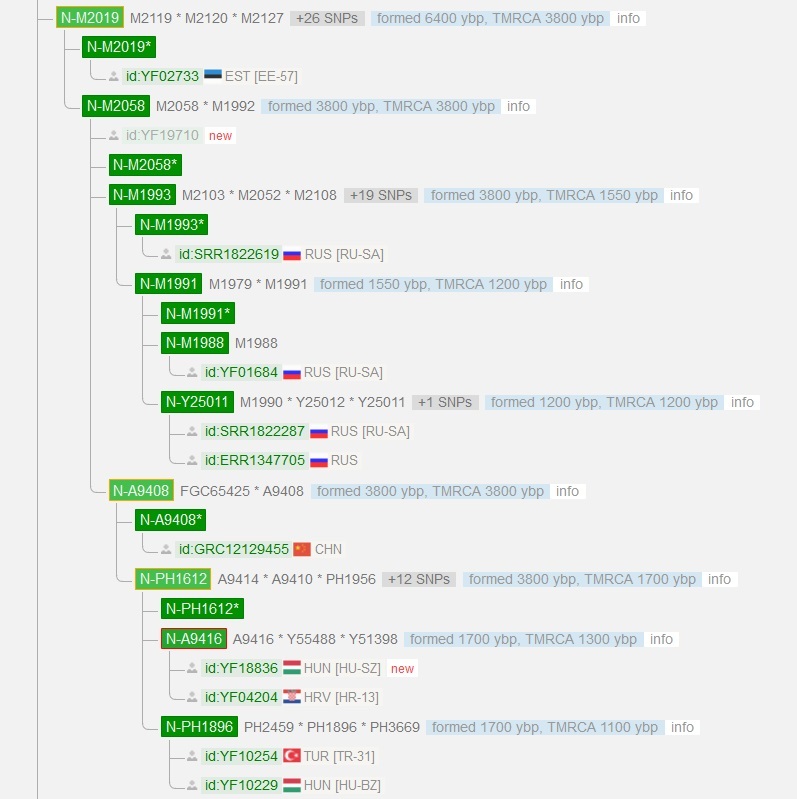 Sibling L1026, the ancestor of the bulk of Baltic N, (including 501/503 Finnish YFull samples) is found in both Turkic and Uralic speakers and I'm sure other linguistic groups. Because of the vastness of this group and the fact that they parted ways from M2019 in 4400 BC (but maybe reunited later in Estonia? ), I exclude it from this analysis. In M2019, there is an Estonian, two Hungarians and a cluster from Sakha Republic who descend from the same man who lived 1800 BC. These languages are considered by linguists to descend from Proto-Uralic, though the exact relationships between the language subfamilies seems under debate. 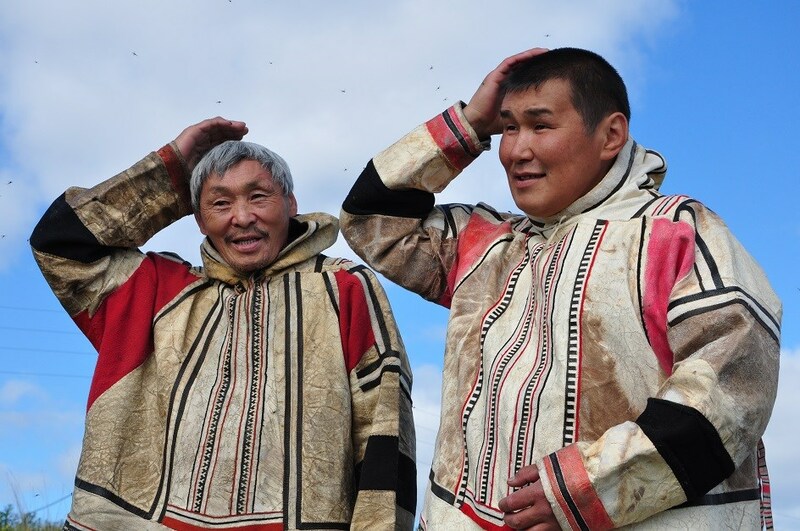 The subfamilies represented by these men include just Baltic-Finnic and Ugric with Sakha neighboring but well outside the Northern Samoyedic language range (though we will examine the potential link between Yukaghir and Uralic later). Both Hungarians are from neighboring counties in the very northeast of Hungary and descend from a man who lived 300 AD. One of the them has a more closer relative in Hatay, Turkey (Levantine Coast) who split 900 AD. The other one has a closer Croatian relative who split 700 AD. These clusters split from a Chinese A9408 basal sample in 1800 BC. Further complicating this distribution is third subclade M1993 so far found only in Sakha (see it here, the largest Russian Republic at 3 million sq km) but that can only reliably dated to have been there since 450 AD. However an additional sample missing a country code is currently processing on YFull. 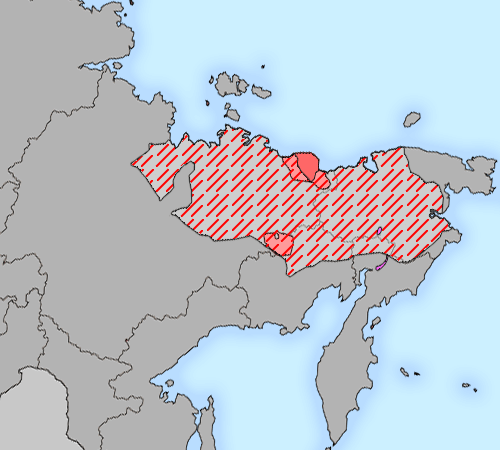 Sakha contains no known Uralic languages but does contain Turkic groups, most predominantly the Yakuts (or the Sakha), whose language serves as a lingua franca throughout Sakha. Their ancestors the Kurykans migrated from the Yenesei River to Lake Baikal in the 7th Century, then they followed the Lena, Aldan and Vilyuy to escape the Mongols. According to Wikipedia they are 89% Haplogroup N-M231. Also living in Sakha are the people who lived there before the arrival of the Yakuts, a people known as the Yukaghirs. The Yukaghir languages are nearly extinct and restricted to two small patches on the northern and southern periphery of their original territory, whose languages are mutually unintelligible. 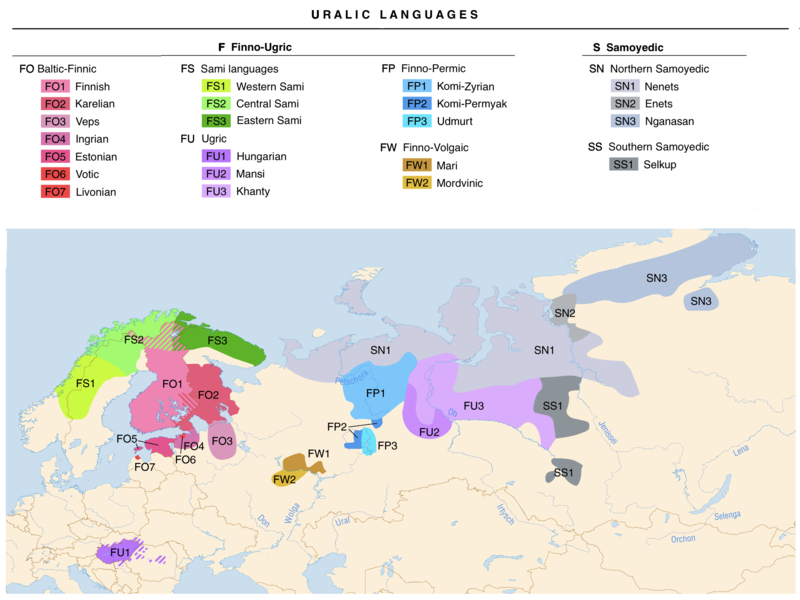 In mainstream linguistics it is considered a language isolate but some have proposed a link to Uralic languages in Uralic-Yukaghir. The western extent of where Yukaghir was originally spoken is not far from speakers of Nganasan, a Northern Samoyedic language. Nganasans. Have any of them been Y-chromosome tested? Photo by Andrii Solkadov from Circum Arctic. So M2019, who lived somewhere perhaps in Central Asia (which is big), may have been a leader whose family prospered in 1800 BC. Because of the lack of geographic and ethnic fidelity in the information at hand, little diversity and long bottlenecks, I won't attempt to make a conclusion justifying or contradicting some linguistic theory. 1) If PH1612 were Magyars, their tightly distributed NE Hungarian diversity dating to 300 AD precedes the date of the Magyar invasion by 600 years. So it would be a coincidence that men descended from a common ancestor who lived 600 years prior, possibly 24 generations, both ended up neighbors in NE Hungary, an area containing just 1/8 of that country's total population. Under this hypothesis the lineages of the Turk and Chinese samples who were originally Magyar became Turkified and the Croatian descends from a Magyar that went there from Hungary. 2) A slight twist to the above supposition, that PH1612 entered Hungary with the Magyar invasion but as Turkic allies. I don't know how reliable the source is, but the Magyar Tribes article states that three Turkic tribes rebelled against the Khagan and joined the Hetmagyar as the Kabar, making it ten tribes. Given this condition, the Turkish and Chinese samples assumed Turkic roots require no linguistic conversion event. The Croatian would have more likely descended from one of the Kabar that invaded Hungary but could also have been a Turk in Croatia. 3) If PH1612 were not Magyars, then haplogroup N is so far absent in the Magyars (because there are no other YFull samples in N marked HUN). 4) If PH1612 were Huns, their TMRCA is only 75 years off from the migration of the Huns into Europe dated to 375. Under this theory the close distribution of Hungarian samples make more sense, as the ancestor would have sired both lineages in NE Hungary. They would have remained there when the Magyars arrived in the 900s. The Turkish sample is then best explained as a Hun that did not stay in Hungary and somehow survived the downfall of the Huns in an intact Turkish tribe which later participated in the Turkification of Anatolia (as Turkifiers). 5) If PH1612 were Huns a Turkic connection might be more parsimonious considering the sibling and cousins of PH1612 distribution. This is because Turkic languages are spoken in China (Uighur) and Uralic ones are not, and the fact that Sakha is now predominantly Turkic Yakut speaking. 6) If M2058 were Uralic and if the Sakha samples were of Yukaghir descent, it could form the basis of a genetic argument for the hypothetical Uralic-Yukaghir language family. It also raises the question of whether the Chinese basal A9408 has Uralic speaking ancestors. 7) If M2058 were indeed Turkic, it means that their father M2019, if Turkic, sired one son whose lineage became Uralic speaking in Estonia sometime in the next 3800 years OR if Uralic, sired a son (M2058) who more likely immediately became Turkic. I say "immediately became Turkic" because it best explains the assumption that all downstream subclades became Turkic through inheritance from this one man's Turkification rather than through separate events in each subclade.